South Africa. Michael Guiry. © Michael Guiry (mike.guiry@nuigalway.ie). 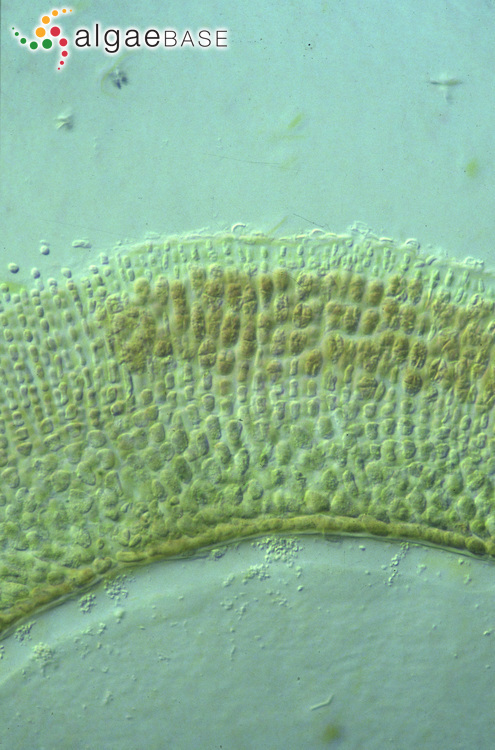 South Africa; radial section of fertile tetrasporangial crust. Robert Anderson. © Robert Anderson (Robert.Anderson@uct.ac.za). 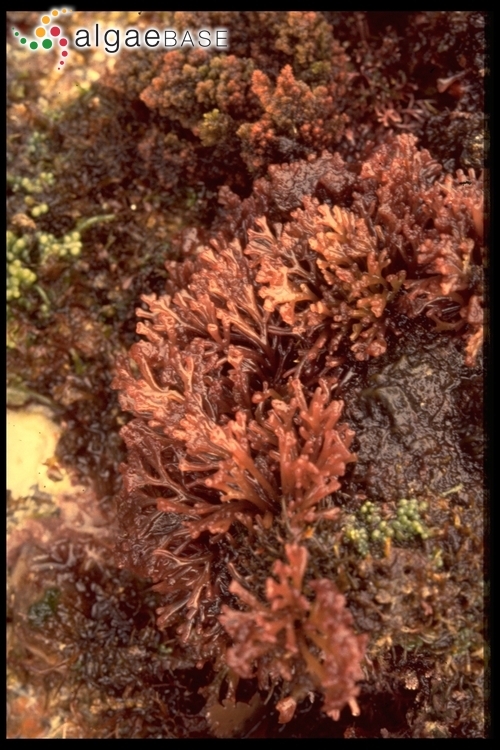 South Africa; gametophytes. Robert Anderson. © Robert Anderson (Robert.Anderson@uct.ac.za). Published in: Silva, P.C. & DeCew, T.C. (1992). 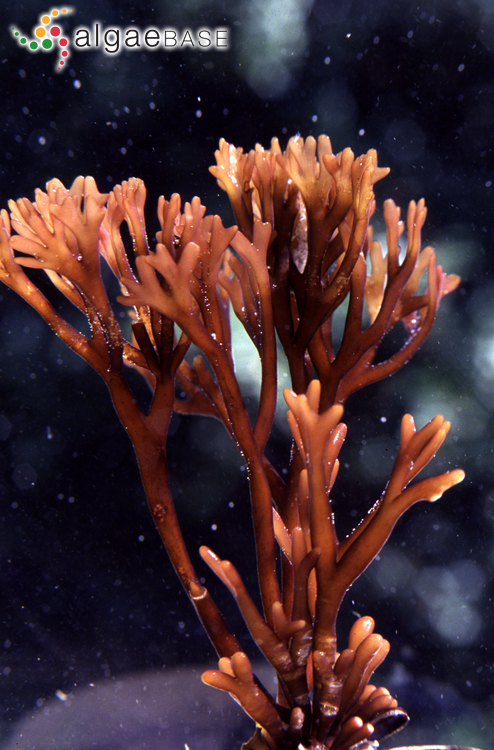 Ahnfeltiopsis, a new genus in the Phyllophoraceae (Gigartinales, Rhodophyceae). Phycologia 31: 576-580. 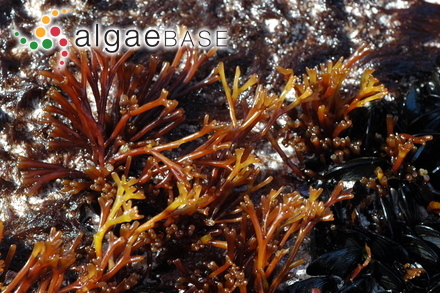 Type locality: Cape of Good Hope, South Africa (Silva, Basson & Moe 1996: 316). Anderson, R.J. & Bolton, J.J. (1990). 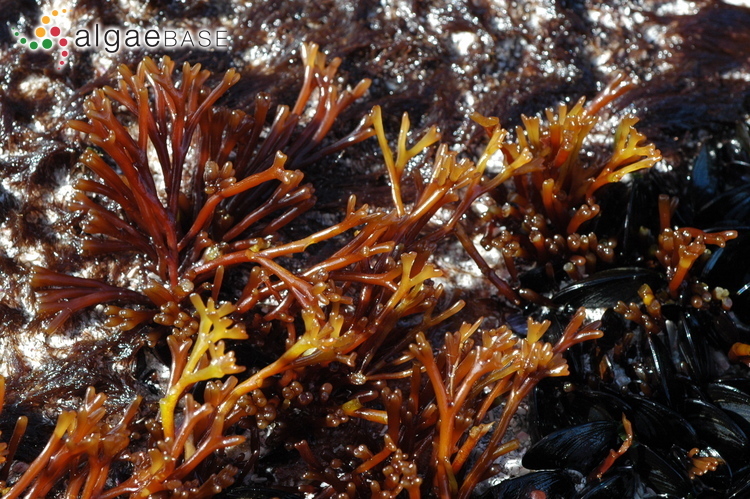 Reproductive morphology and life histories of southern African Gymnogongrus species (Rhodophyceae, Phyllophoraceae). British Phycological Journal 25: 381-390, 15 figs, 1 table.